Feel the energy of Cairns’ vibrant tropical culture brought to life with festivals, events and experiences shaped by the Great Barrier Reef and the Wet Tropics Rainforest. Revel in the outdoors lifestyle and discover a cosmopolitan city where world-class hospitality is a way of life. Refine your senses with an exotic getaway to an absolute beachfront tropical hideaway where every day is all about you. Indulge in beachfront dining, decadent day spas and tropical resorts to uncover Palm Cove. Let the charm of Port Douglas’ boutique tropical village and the wonders of the Great Barrier Reef and Daintree Rainforest revitalise you. Indulge in dining, shopping and pampering and experience the beauty of two World Heritage areas in a region where the rainforest meets the reef. Be seduced by an easy going beachside retreat where natural encounters are the norm. Free your playful side exploring 14 kilometres of sand by bike, marvelling at romantic ruins or rafting the rapids to discover Mission Beach. Journey through the natural wilderness to the top of Australia and discover the landscapes of Cooktown & Cape York. Follow in the footsteps of early explorers on an epic adventure taking in memorable pubs, Aboriginal culture and Australian pioneering history. We welcome you to Tropical North Queensland. Whether you prefer an international hotel in the heart of Cairns, a beachside resort or a retreat in the rainforest, Tropical North Queensland has the accommodation to suit. With more than 7,000 accommodation rooms available, visitors are spoilt for choice in Cairns City. With high-end five star international hotels and luxurious self-contained apartments, family-friendly motels, budget hostels, mid-range hotels, tropical resorts, or unique B&Bs, Cairns has it all, with proximity to dining, tours, shopping and nightlife. On the edge of the city are a variety of apartments and motels, while camping and caravan parks are found nearby in the suburbs. Our official accommodation partner for the 2019 Great Barrier Reef Masters Games is Mantra hotels with three properties in Cairns: Mantra Esplanade, Mantra Trilogy and Mantra Amphora. To receive your special rate click here and use code MASTERS19. The Tropical North Queensland region is the gateway to the Great Barrier Reef. You can experience the Great Barrier Reef in a multitude of ways – diving, snorkeling, sailing, cruising, kayaking, scenic flights and island hopping are a part of everyday life. Make sure you head south to what was voted as "RACQ 150 Must-do" attraction - Paronella Park. Their most recent award was at the 2018 Queensland Tourism Awards where they were voted RACQ People's Choice Award. Paronella Park will take you on a journey from it's creation in 1937 where the grounds and buildings have survived fire and numerous floods. Get lost in the romantic back story of creator Jose Paronella, as current owners Mark and Judy Evans welcome you to the Park. Details of a special package for athletes, family and friends will be released soon. Paronella Park......the dream continues. While you’re in town, there are many other things to see and do including exploring the Wet Tropics Rainforest with Skyrail Rainforest Cableway, immersing yourself in the traditional Indigenous culture, experiencing the region by bike on tracks suiting all levels, following your stomach on a food trail through the Atherton Tablelands, meeting the local wildlife, or sampling the diverse and acclaimed restaurants throughout the region. For more information, visit the official Queensland website and when you’re in the region don’t forget to share your photos by tagging #exploreTNQ. While you are in Cairns competing (partying) on the reef, let local company 1300 Ride Share get you around town. 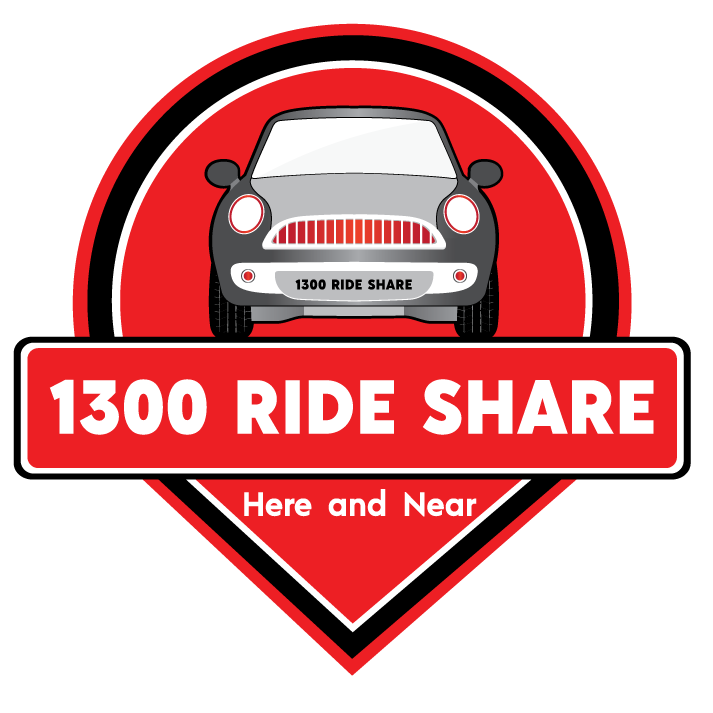 1300 Ride Share is a Cairns owned and operated door to door transport Ridesharing service with fexed pricing. A fleet of 18 vehicles, all new model Honda Jazzs, are available to service Cairns and the surrounding areas. Instant bookings can be made through the 1300 Ride Share app, or book online. Alternatively, bookings can be made by calling 1300 743 374, with payment available within the app or in the vehicle.